Happy ALMOST Halloween! It’s Tuesday and it’s starting to look like the rain may rush through Wednesday and give us a clear day for Halloween. Watching the weather has been a nightmare, but at least they aren’t saying snow anymore! I thought this year, for sure, my son would want to choose his costume. But as the time approached, I kept asking and he wasn’t giving a solid opinion. So I made the call, probably my last time to ever do it, and made him Link. Who doesn’t love classic Nintendo? And yes, he has already been called Zelda once. 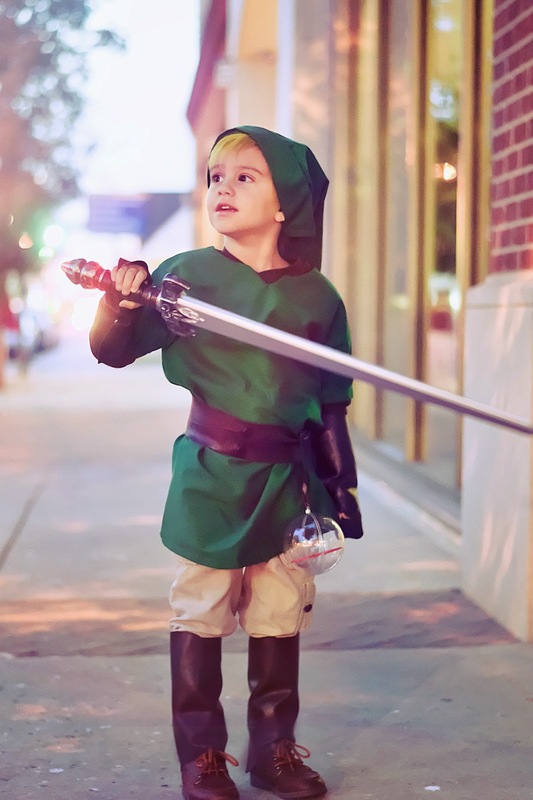 He loves the costume, he only has a small idea of who Link is from watching my play Skyward Sword but he likes the attention he gets from me and the few people that do recognize him. I am actually shocked this year that less people know Link than they did Doctor Who! My little geek heart aches, just a little. 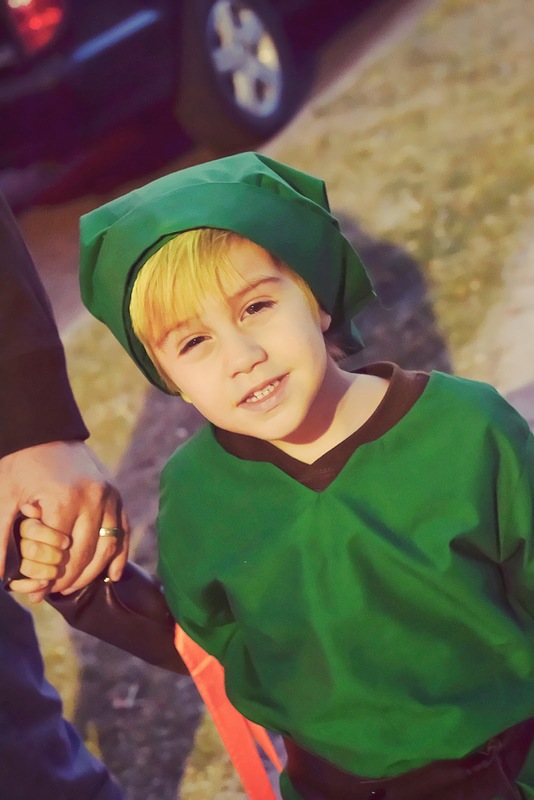 I had to make his costume because obviously no one carries a Link costume. I studied a few different versions of Link from concept art and the figurines my brother loaned me. He’s basically a combination of Skyward Sword and Windwaker Link; Windwaker being one of my absolute favorites. Overall, it turned out better than I expected, the gauntlets are perfect and the little slip over boots help pull it together. I wanted to sculpt my own sword, but sadly I did not have time for that. Yes, I am an over achieving geek mom. I skipped the elf ears, they were a bit pricey for a kid that may choose no to wear them at all. I did decide to spray color his hair yellow and that’s one of his favorite parts. Plus, you can hardly see it in most of his photos but he has a heart container hanging from his belt! 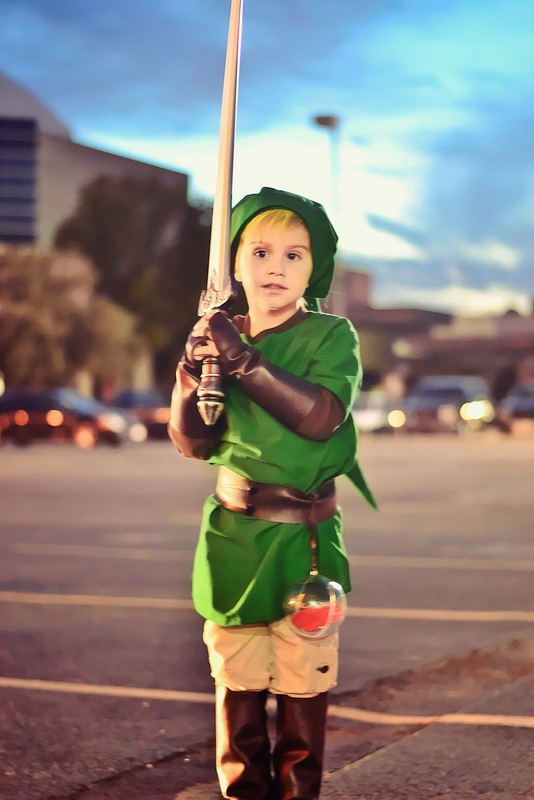 My only regret is that I didn’t have time to make myself a Zelda costume. We only ended up going out for two events this weekend and it was raining for one so I didn’t get as many photos as I wanted. I’ll make up for it this week with Halloween and a photo shoot, this costume needs a photo shoot.